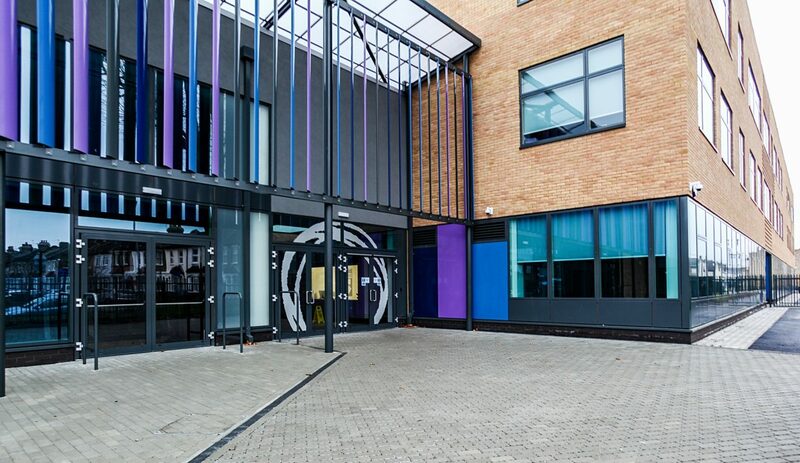 Oasis Academy Arena is a new Croydon school built for children between 11 – 16 years. 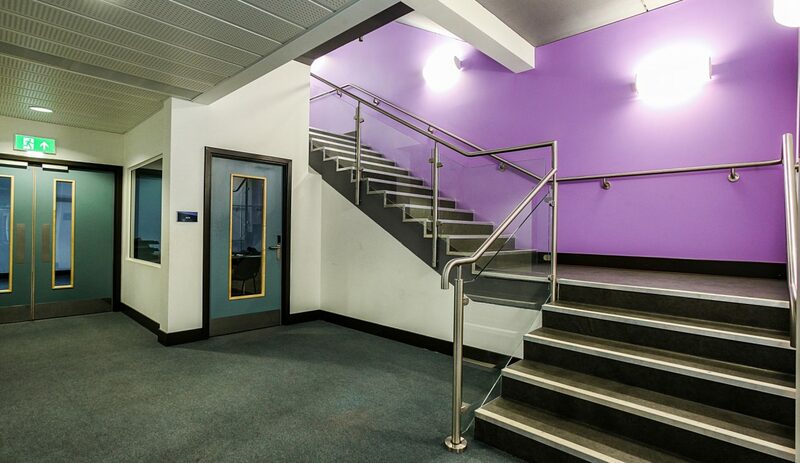 The Academy, which was built by Willmott Dixon, specialises in sports and science and is part of Croydon’s Olympic legacy. 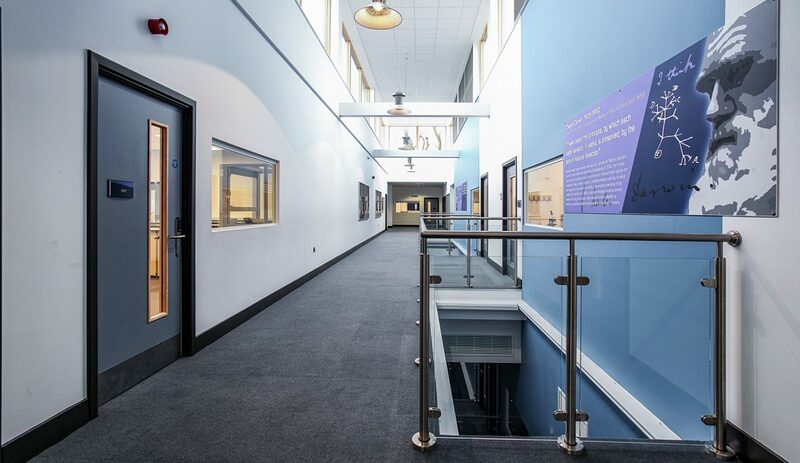 The Academy, designed by Curl la Tourelle Architects, is sponsored by Oasis Community Learning who have a proud track record of managing Ofsted Outstanding schools across the country. This track record set a high benchmark for an outstanding facility to deliver exceptional results. 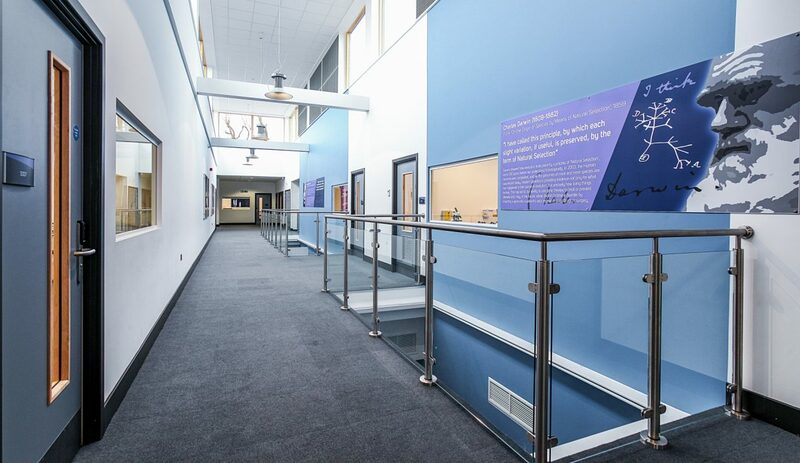 With the balustrade forming an integral part of the building in the central voids and stair cores, the school required an attractive yet durable finished product to compliment the high quality building. This meant that the balustrade fixing details needed to be structurally verified to ensure the necessary loading’s could be achieved without negative implications on trade interfaces and budget requirements. 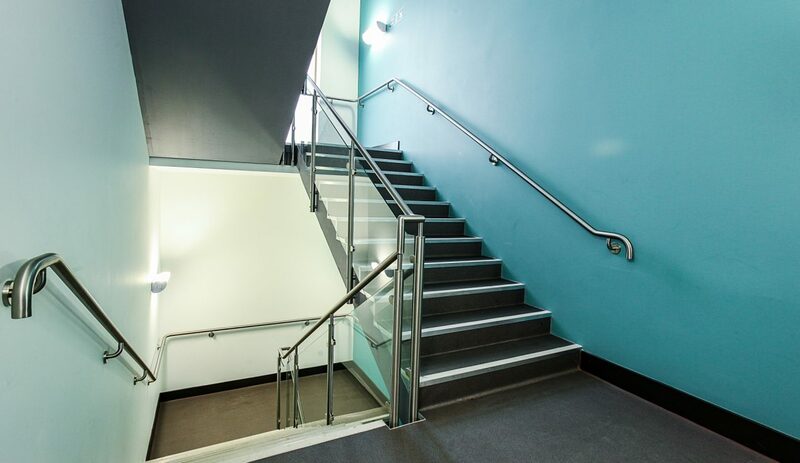 BA Systems were appointed by Willmott Dixon to provide a balustrade solution to the stair cores and voids. 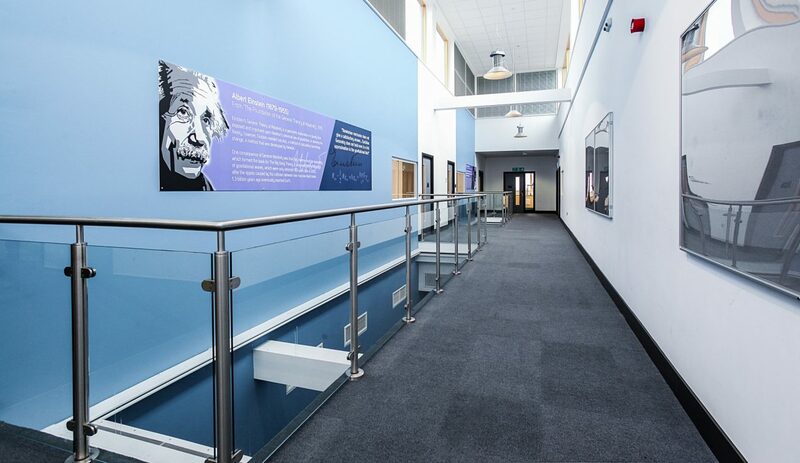 The B20 stainless steel post and glass infill balustrade system was chosen for all areas of the building. 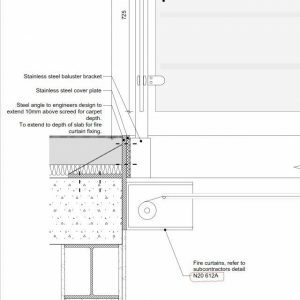 In order to meet the necessary 1.5 kN/m balustrade loading in the void area, the BA Systems design team value engineered the architects fixing solution. 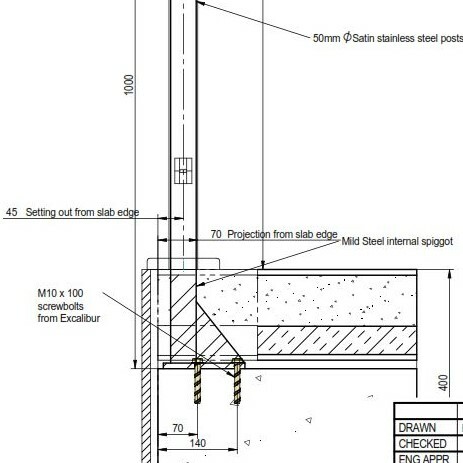 At this early design stage the proposal was made to change from a side fix post mounted on a large steel angle (Fig. 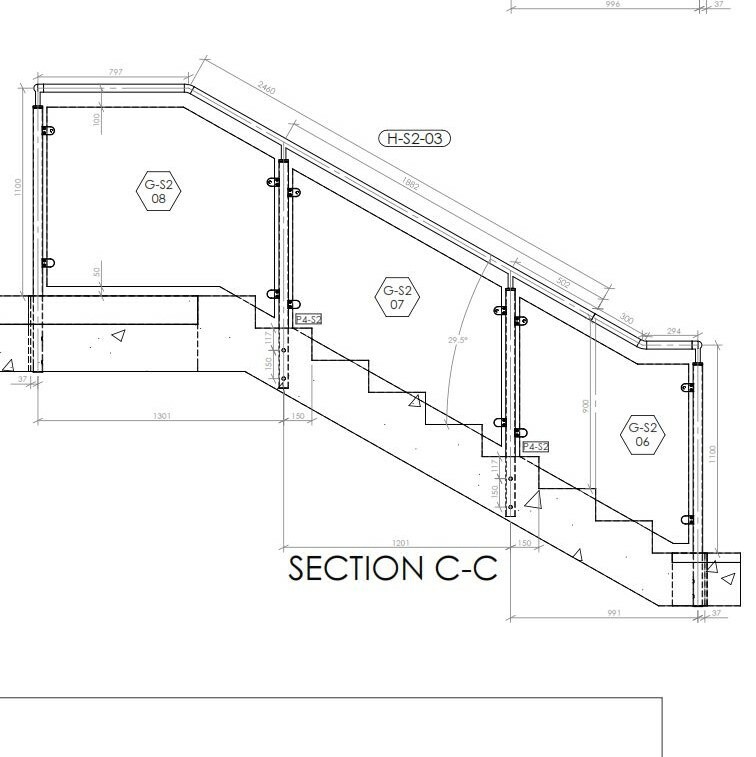 1) to a surface mount solution with an extended internal steel spigot and gusset support (Fig. 2). On the stair cores, the B20 balustrade system was side fixed to the edge of the concrete stringer using the 2-point post fixing system (Fig. 3). 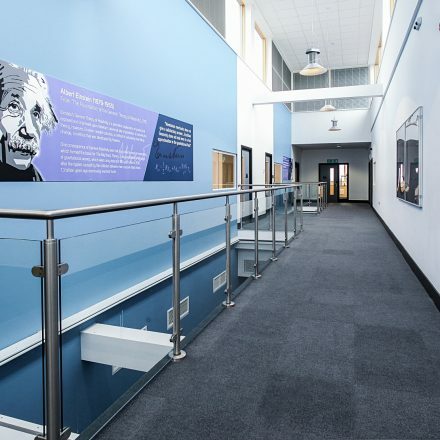 The 42mm diameter B10 stainless steel handrails were used to complimented the balustrade handrails. 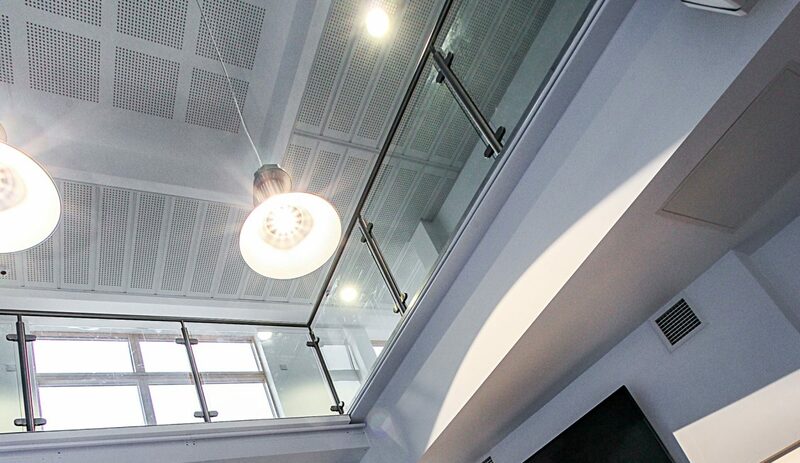 The project was delivered within the programme deadline and with no defects. 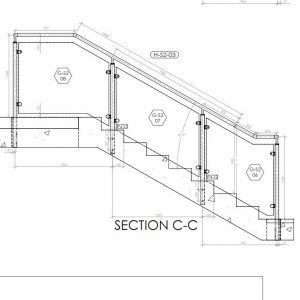 The necessary 1.5 kN/m walkway loading was achieved in the voids and 0.74 kN/m loading in the stair cores. The design and finish showed how a great team effort can be achieved. 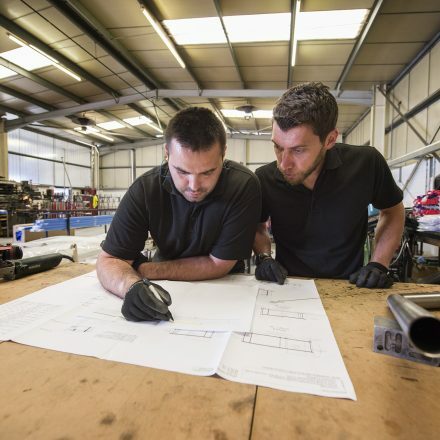 BA systems worked effectively and honestly throughout the Design stage and also during the install stage once on site. 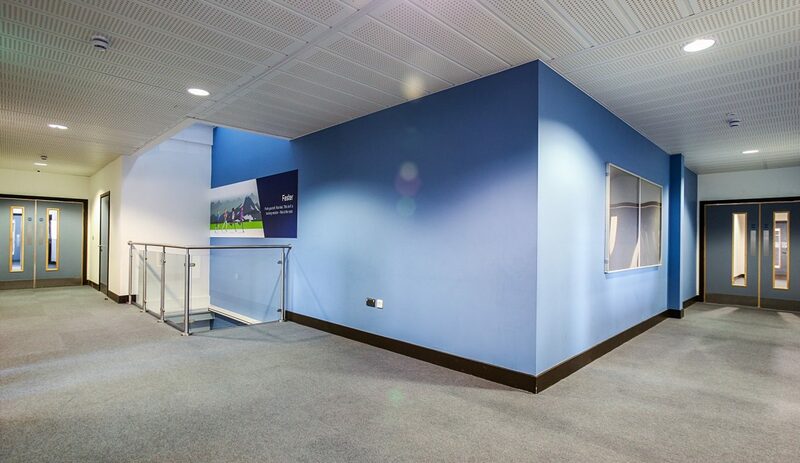 The dedication to complete to suit the projects requirements was outstanding and this enabled the project to handover on time and with no defects. 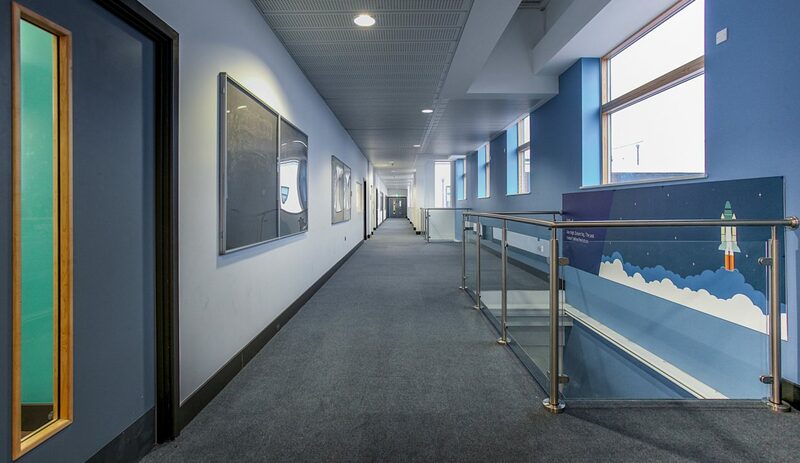 BA Systems installation was paramount to get Building Control sign off and the install duration on site only totalled a number of days. This proved with a dedicated supply chain partner anything can be achieved and BA Systems excelled in this role.